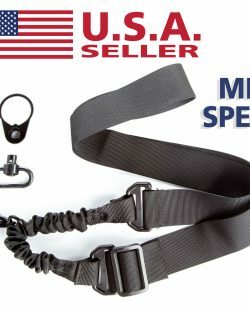 The Mike Kit™ – Our complete kit for installing a superior quality single point sling and adapter. 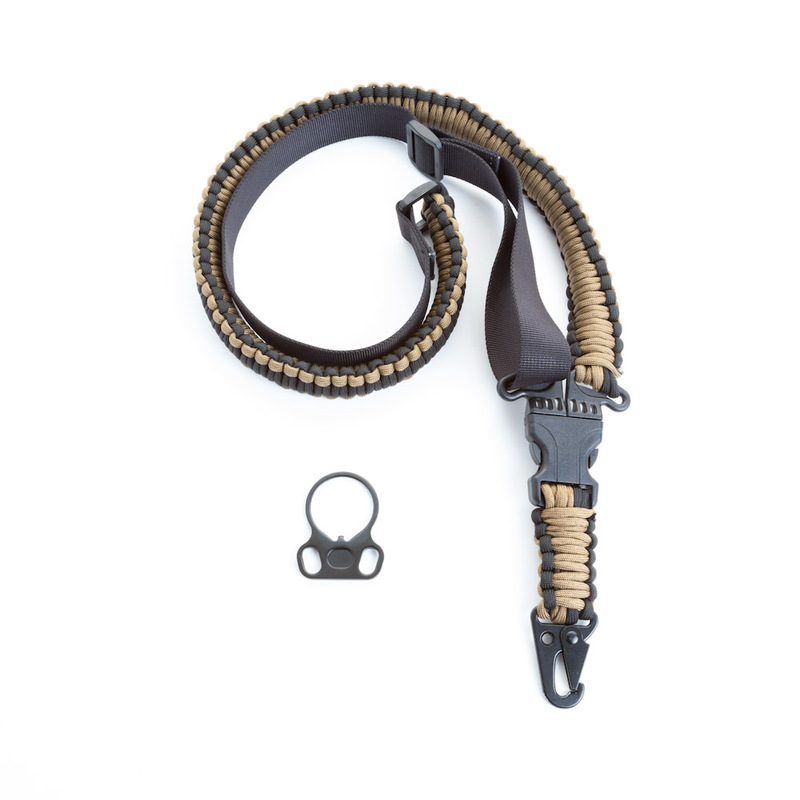 It includes a premium single point sling made with nearly 55 feet of paracord, ambidextrous receiver adapter plate for AR15 & AR10 platforms, and printed installation instructions for how to install single point sling adapter. The Mike Kit™ includes everything but the rear stock wrench (sold separately) to install a premium one point sling on your AR15, AR10, or multi-caliber rifle. 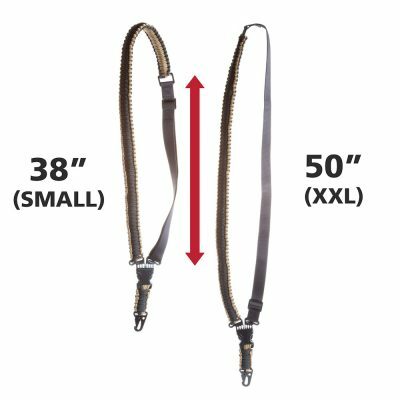 The Hardigrade™ Mike Kit™ includes everything but the rear stock wrench (sold separately) to install a premium one point sling on your AR15, AR10, or multi-caliber AR platform rifle. With our printed instructions on how to install single point sling, the process is quick and easy. All you need is a rear stock wrench (sold separately). The process typically takes less than five minutes. You do not have to be a gunsmith to install the rear receiver single point sling mount – it really is quite easy. 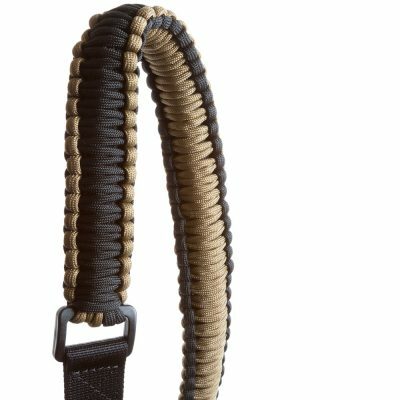 Made with nearly 55 feet of high strength paracord, precision stitched nylon straps, heavy gauge steel clasp, durable one-piece polymer adjustment loops, and precision machined steel single point sling adapter plate. 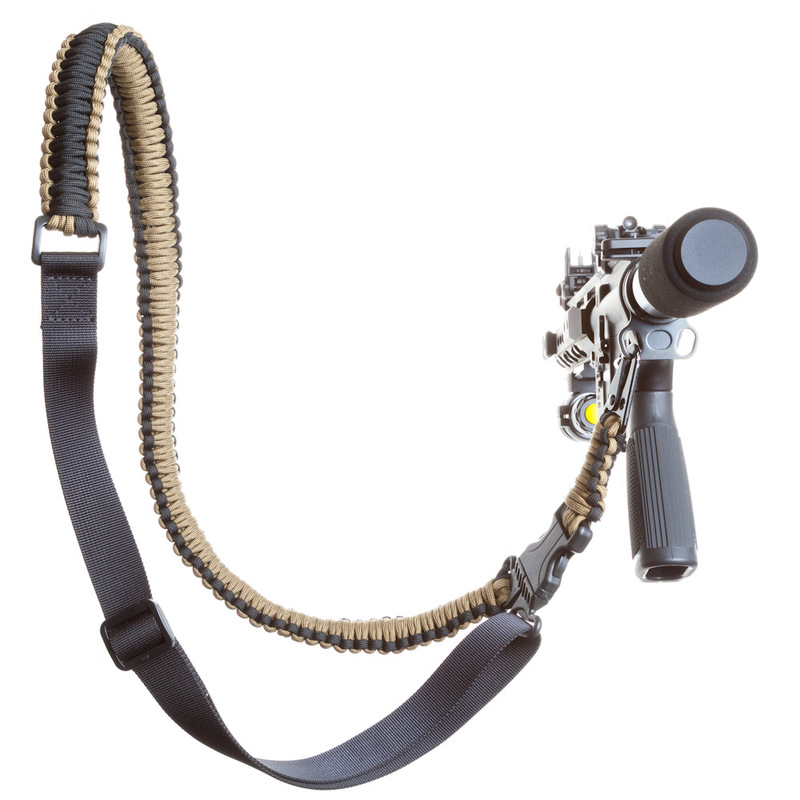 Mike Kit™ Single Point Sling and Adapter will work with mil spec tubes and receivers. It also works with commercial buffer tubes and receivers.